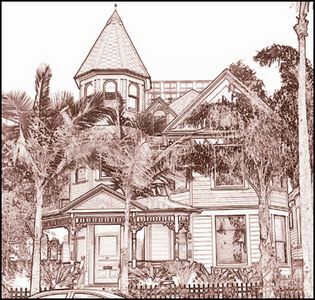 This old house located in the prestigious Uptown Community of the City of San Diego was built in 1895, a time when San Diego’s streets and alleys were dirt, transportation was by foot, horsepower, or bicycle, and if you were going further, by train or the weekly steamer. Illinois native Henry Ellis Coonley purchased two lots at an estate auction in December of 1894. 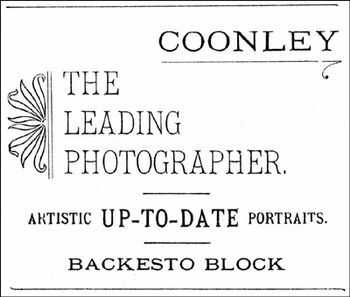 As an ambitious businessman who had given up merchandising to learn photography “where personal skill could count,” Coonly was an established downtown photographer with his own studio in the Backesto Block at Fifth and H (now Market) Streets. 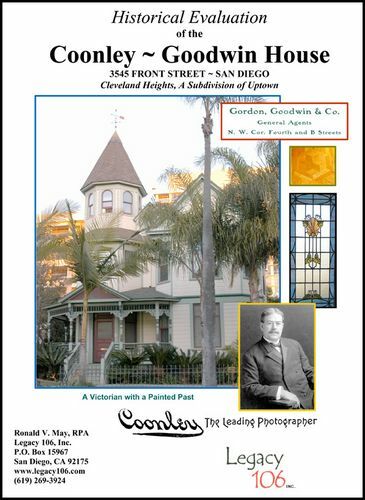 Coonley was a pioneer commercial photographer who contributed to San Diego history by leaving a legacy of architectural and historic landscape photographs that add to our understanding of the late 19th century. By climbing up to the roof and chimneys of tall buildings, he photographed broad panoramic shots depicting dirt streets, rows of Victorian residences, and commercial establishments. He photo-documented construction stages of the Hotel Del Coronado in this manner. In addition, he specialized in the photography of children as well as group and portrait photographs, although copies of these pictures are harder to find. The quality of crisp, clear, and well-composed photographs lends to their repeated use by historians and architectural scholars. 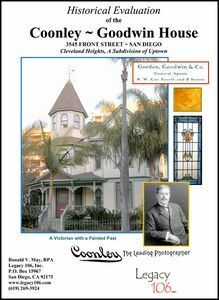 Coonley photographed at least 890 images of San Diego while living at the house. Some of these survive in the care of the San Diego Historical Society. Subsequent owners Nason M. Goodwin and his firm the Gordon, Goodwin & Co. were prominent in the community as successful real estate and insurance brokers at the time Roberta J. Goodwin purchased the house. 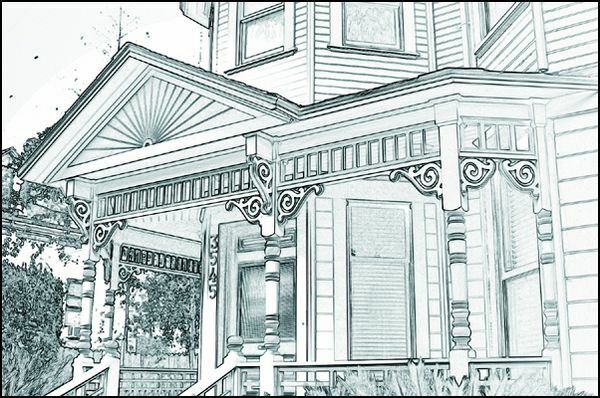 Both Nason and Roberta invested in real estate in Cleveland Heights, Mission Hills, and other communities and Nason excelled as co-founder of Gordon & Goodwin Company. Roberta also held mortgages for local properties and gave personal loans to friends and business associates, although she did so shrewdly with interest due for her trouble. Their son, Percy H. Goodwin, began his distinguished career working first for Nason and later for Gordon & Goodwin from 1903 to 1907. 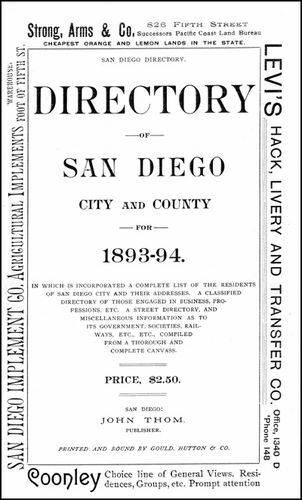 Percy Goodwin’s name can be found on mortgage documents in the Mission Hills area early in the century in his role as treasurer of the Gordon, Goodwin & Company. Edward Goodwin inherited the house and sold it to Master Builder Alexander Schreiber in 1926. He and Hanna Haas Schreiber, his wife and partner in the construction industry lived in the house for one year. This was during the height of his custom-built house construction period in which he built more than 100 houses. Some of those houses are now City of San Diego Historic Landmarks. 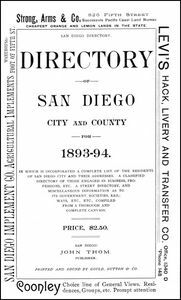 The City of San Diego, Historic Resources Board listed him as a Master Builder and important in the development of Mission Hills, Point Loma, Uptown, and South Park. Despite Coonley’s profession as a photographer, no historical photographs were found for this residence either from his period or from later periods to reveal the original appearance of the house, which apparently differs significantly from its "Victorian" façade of today. A remodel by former owners indicates that a turret was added from the foundation up and a dormer and wrap-around porch added between 1989 and 1991. In 1991, the now handsomely reconstructed house was used in the mystery movie, Writer’s Block, which starred actress Morgan Fairchilde. Later, the house was used in the introduction of the late night TV crime/action series, Silk Stockings, which ran from 1991-1999. The resulting residence today is a well-maintained, beautifully landscaped house, reconstructed to fit into the setting of the neighborhood, although not to reflect the house’s original historic form or design. The historical importance of this house lies primarily in its association with its past owners, rather than its architecture. 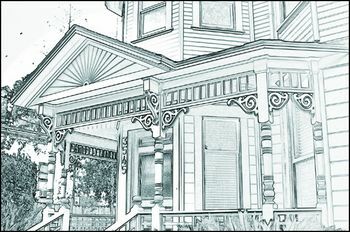 In time, the modifications that have been made to this house may attain architectural significance in their own right, thus adding another dimension to the history of this interesting house.